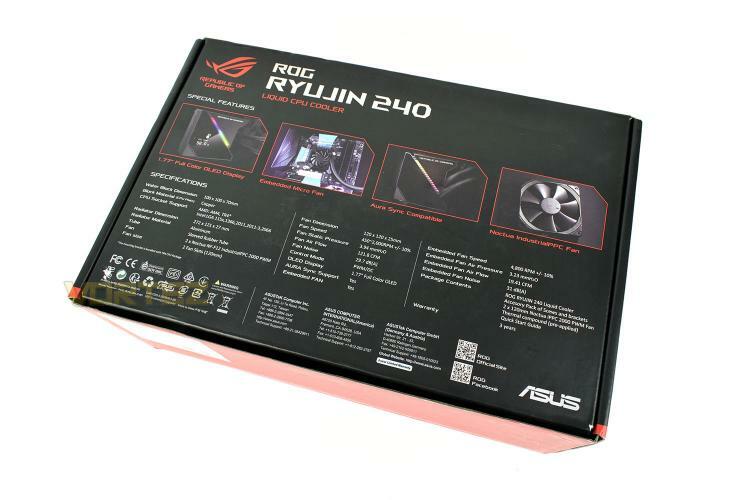 The Ryujin 240 lands in a large box with a prominent black and red theme. The image on the front shows the addressable RGB strip on the pump enclosure but not the OLED screen. On the rear we get a lot more information, including dimensions, specifications and notable features. 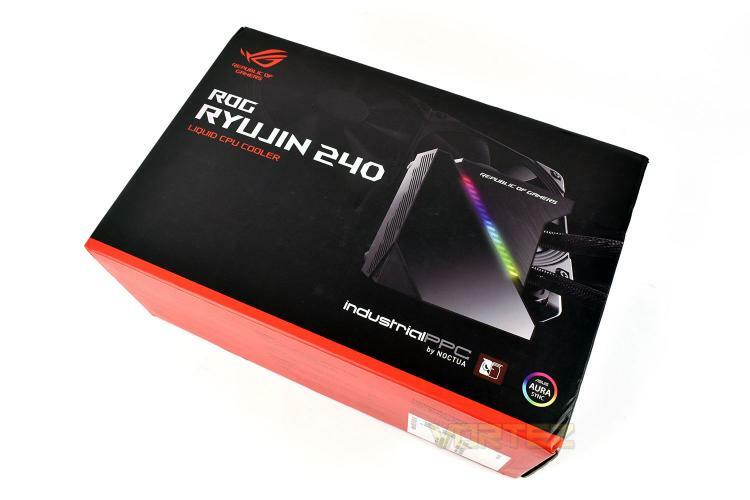 Lifting up the top, it uses a fancy folding mechanism to reveal the ROG eye logo in the lid. 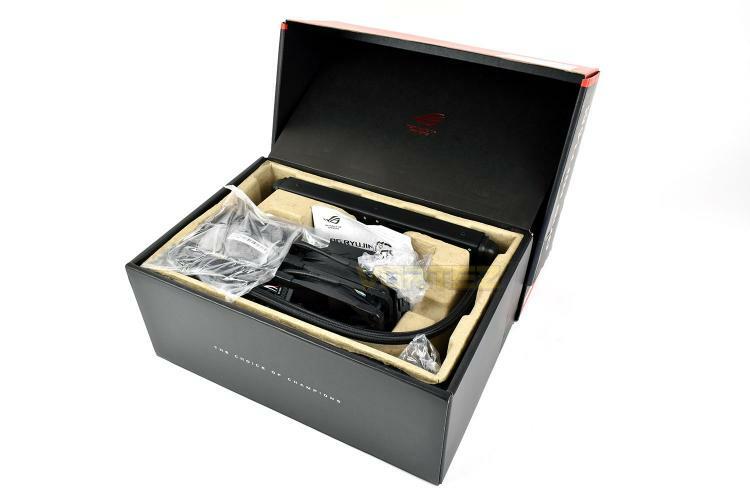 The cooler is packaged well inside a cardboard carton, though sadly it was poorly re-packaged by the previous users so the image isn’t necessarily representative of how you would receive the product. 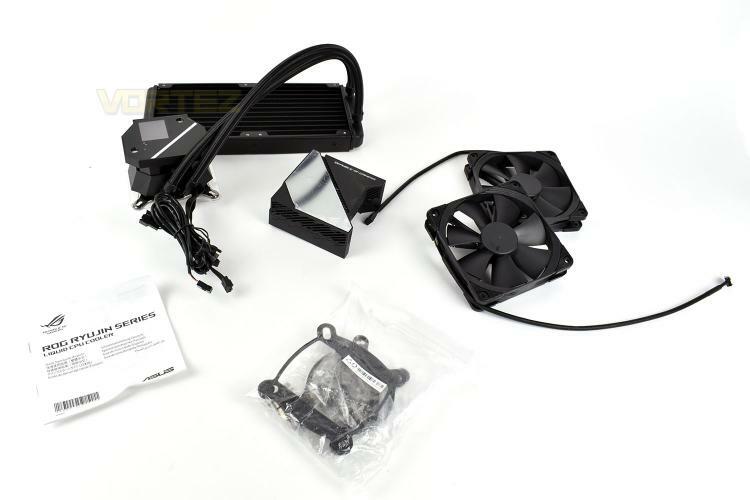 Included with the Ryujin 240 is an instruction booklet, mounting hardware for Intel and AMD CPUs, a pair of Noctua NF-F12 cooling fans and the cooling loop itself.